ISWAN recently took part in the Contact Group on Piracy off the Coast of Somalia‘s (CGPCS) 21st plenary, held on 12 – 13 July 2018. 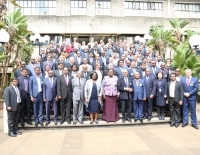 At least 60 member states and international organisations attended the plenary, which was chaired by the Republic of Mauritius as Chair of the Indian Ocean Commission and held at the United Nations Office in Nairobi, Kenya. The International Seafarers’ Welfare and Assistance Network (ISWAN) was represented at the meeting by our Regional Director for South Asia, Chirag Bahri. ISWAN manages the CGPCS Piracy Survivors Family Fund (PSFF), which provides financial support to seafarers and their families affected by Somali piracy. Chirag presented a detailed report to members on the fund’s activities and informed them that 10 applications had been successfully approved by the fund’s advisors, benefitting seafarers in China, the Philippines, Cambodia, Vietnam, Nigeria and Bangladesh. 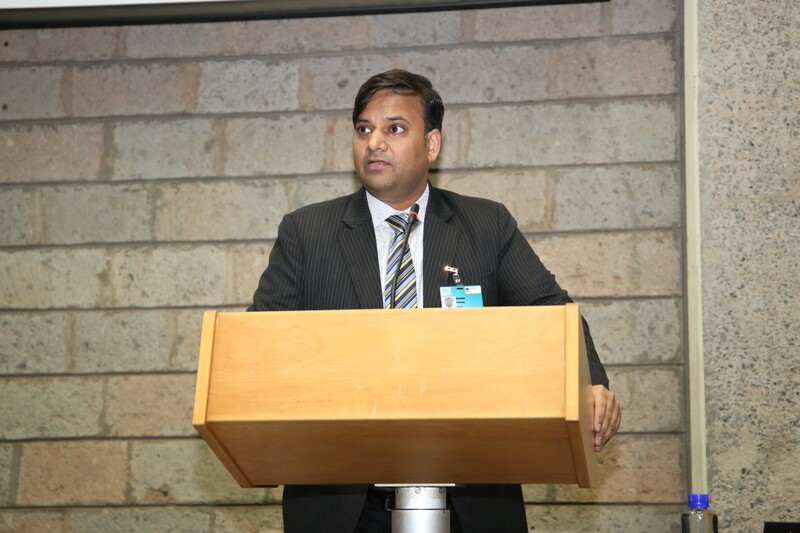 During deliberations held during the plenary and working group meetings, members acknowledged that piracy remains a threat in the Gulf of Aden and Western Indian Ocean and expressed their concerns for recent incidents. They called on the shipping industry to ensure compliance with the recently published Best Management Practices (BMP5). The CGPCS welcomed the endorsement of an amendment to the Maritime Labour Convention, 2006 (MLC) by the Special Tripartite Committee of the International Maritime Organisation (IMO) and the International Labour Organization (ILO), which ensures the payment of seafarers’ wages while they are held captive by pirates. The members also discussed the new maritime threats emerging in the Indian Ocean affecting the navigation and safety of ships and their crews. The Chair and members applauded the efforts of ISWAN, ISWAN’s Maritime Piracy Humanitarian Response Programme (MPHRP) and the PSFF to provide a range of support during and after captivity, and they recognised the need to continue supporting these initiatives. The CGPCS remains committed to the objective of ‘zero seafarers and zero ships’ in the hands of Somali pirates and urged its international partners to continue with efforts to release the remaining four Iranian fishermen on board the vessel FV Siraj. While attending the session, ISWAN’s representative Chirag Bahri met with various delegates from India, Sri Lanka, Pakistan, the United Arab Emirates, Tanzania, Panama, Norway, the United Nations Office on Drugs and Crime and other delegations to discuss the welfare of seafarers affected by piracy incidents, seafarers’ abandonment and contractual issues affecting seafarers’ mental wellbeing at sea. We would like to thank all funders for their generous contributions to the CGPCS Piracy Survivors Family Fund and all partners extending their support. For all the latest news in seafarers’ welfare, subscribe to our monthly e-newsletter here.